If you’re confused by the different waste pipe sizes in the UK, this page is for you. There are several different types of pipe for basins, sinks, baths and toilets. To add a little confusion, you’ll discover there’s more than one system; push-fit and also solvent (glue) weld. The pipes for each system aren’t the *exact* same size and thus aren’t directly compatible. 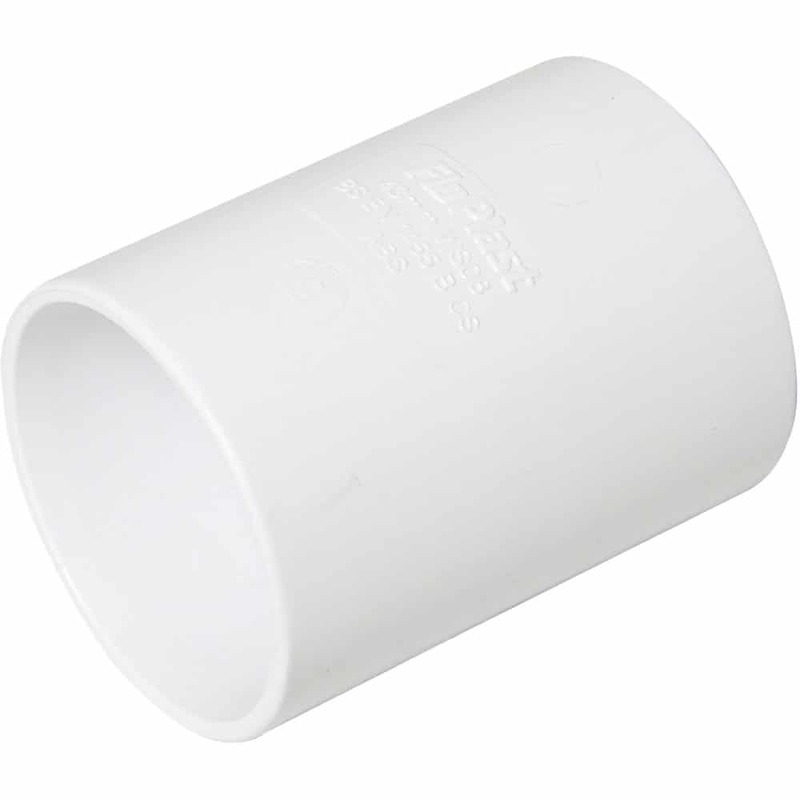 21.5mm – Used for overflows, commonly seen attached to water tanks in lofts and from cisterns. 32mm – Found under small hand basins and other low volume outlets. 40mm – Used under kitchen sinks and bathroom showers/baths. 50mm – Less popular and usually found in commercial buildings, occasionally seen in residential houses. 110mm – This is the soil pipe, used from the toilet and as a primary drain pipe on the property. A solvent pipe is actually slightly wider than the push fit pipe. 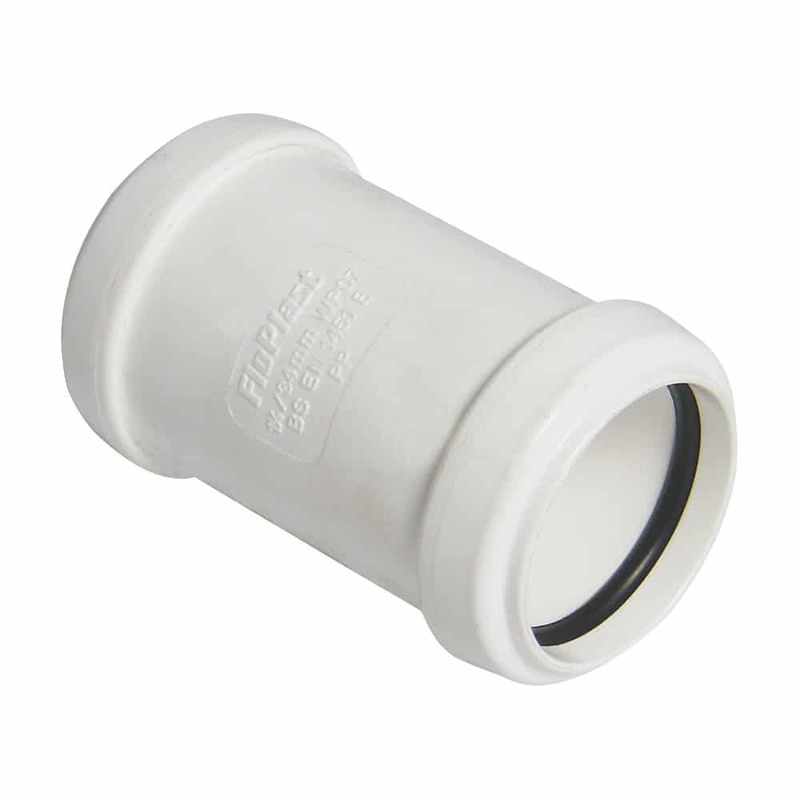 A 40mm push-fit pipe has a 40-41mm external diameter but a 40mm solvent pipe has a 43mm external diameter. The difference between the two means they aren’t directly compatible. You’re not alone; many people get confused by the two slightly different pipe diameters. 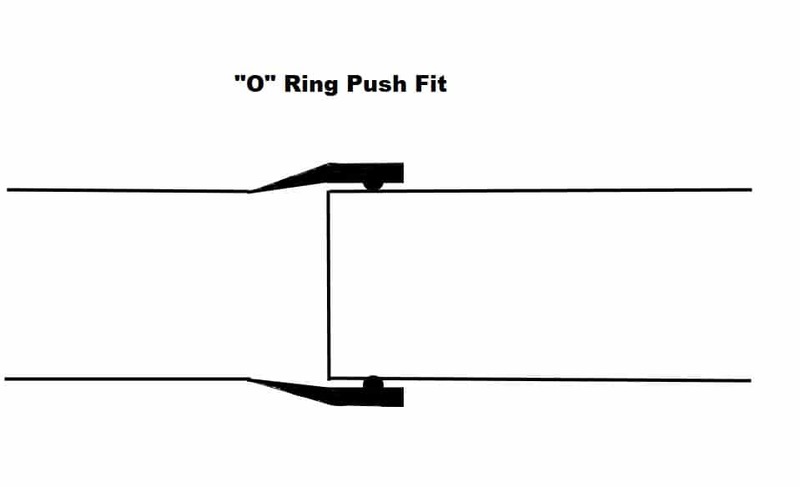 You just need to remember that a push-fit pipe is too narrow for a solvent system, you can’t join the two together without a special adapter. As a general rule of thumb, you should stick to one system in your home and be consistent. 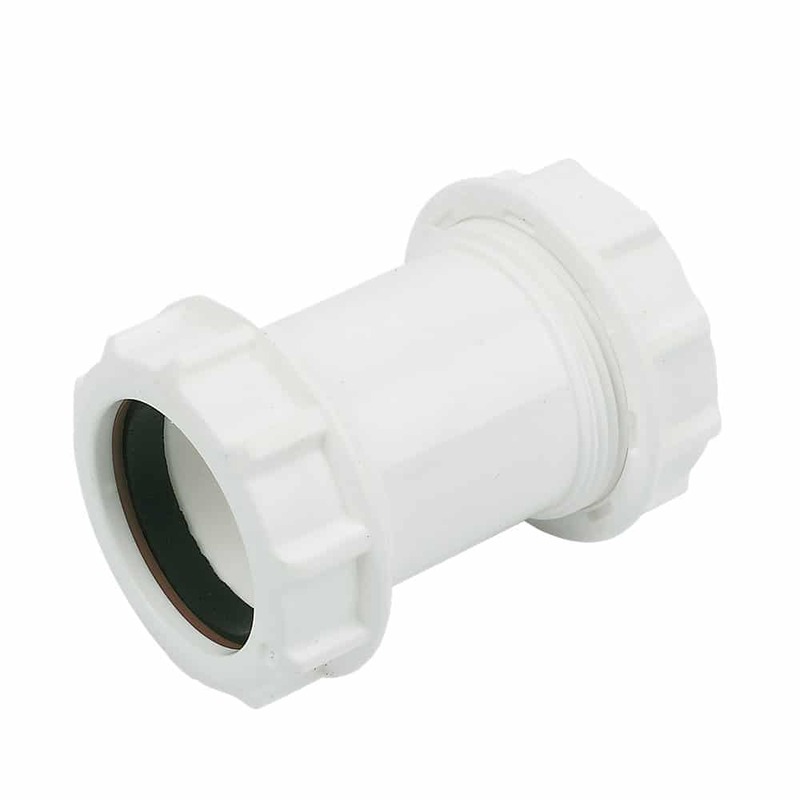 If you have 43mm wide pipe, then your system will have solvent (glued) connectors or compression fittings. If you have 40mm wide pipe, then your system is either a push fit or compression type. Compression fittings are mostly universal so can be used on either a push-fit (40mm external) or solvent pipe (43mm external). 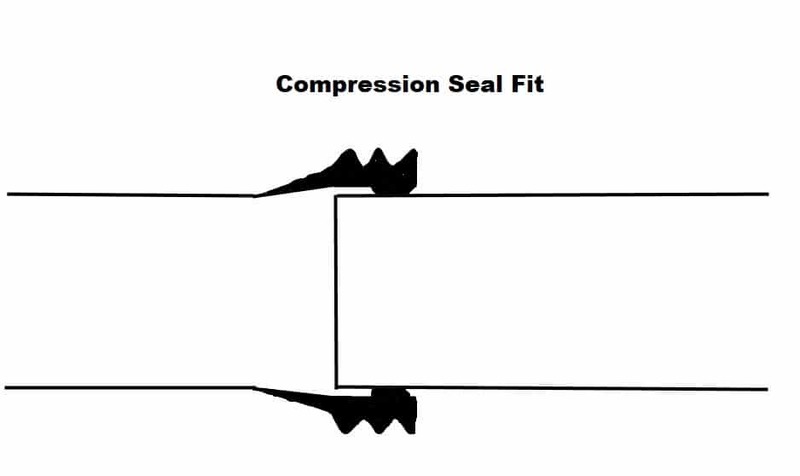 As the compression fitting is tightened, it will secure either pipe with a waterproof seal. These fittings are perfect for joining the different pipes together. The downside of these fittings is that they’re expensive and bulky, hence why it’s best to stick to either a push-fit or solvent system throughout the entire house and be consistent. What if You Have a Mixed System? It’s not uncommon for plumbers to use the system they prefer when carrying out repairs, as a result of this, you may see two different types of pipe and connectors in one home. 40mm is for push-fit or compression fittings. 43mm is solvent glued weld and also compression fittings. 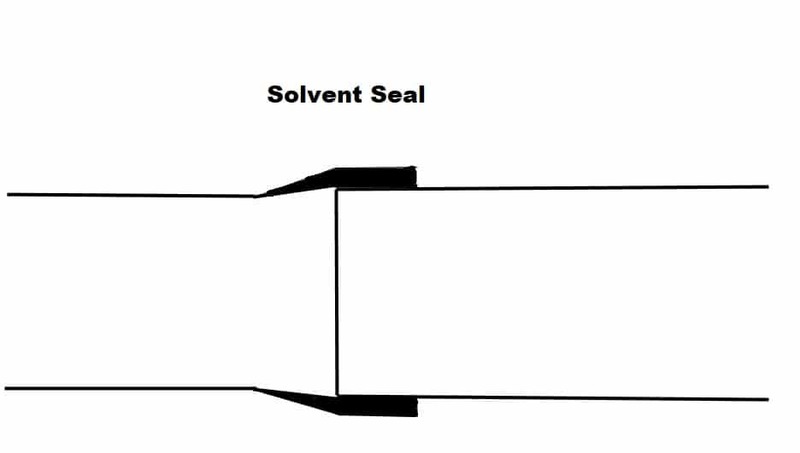 Which System is Best: Solvent or Push Fit? Most plumbers prefer a solvent seal for narrow internal pipes as it’s 100% waterproof. Push-fit seals on these pipes work okay until there’s a blockage in the pipe, as the water pressure increases behind the blockage, water may be pushed past the rubber seal. The quality of push-fit systems has improved in recent years, but they are still more popular with DIYers than tradespeople as they’re so easy and quick to use. A solvent seal is less forgiving; once the glue has set, you can’t remove the pipe like you can with a push fit system. 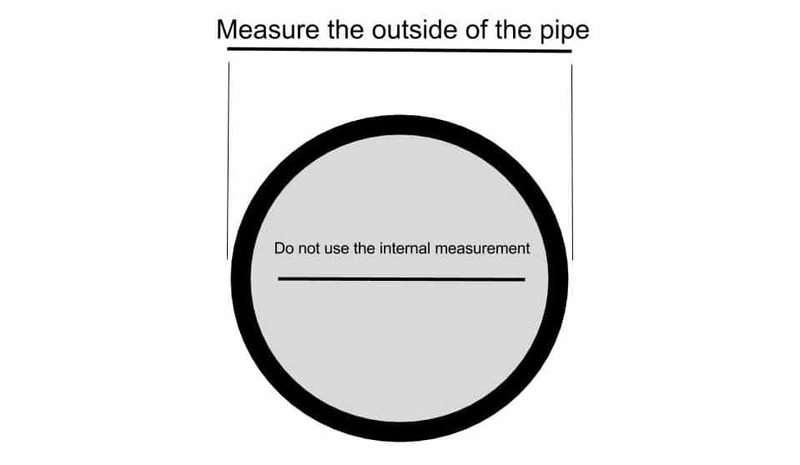 110mm pipes are usually push-fit with a rubber ring inside the coupling. Can Waste Pipe be Used Outdoors? You must use plastic that is UV stable if you want to install the pipe outside. Otherwise, it will crumble and fail. Acrylonitrile Butadiene Styrene (ABS) – suitable for hot and cold water waste, some manufacturers add a UV stabiliser but do check the manufacturer’s documentation as many don’t. Modified Unplasticised Polyvinyl Chloride (uPVC) – Again suitable for hot and cold water waste and is ideal for both indoor and outdoor use. This product is suitable for fire-rated applications. Polypropylene (PP) – The cheapest of the three materials and is very popular, it’s acceptable for both hot and cold waste but is not UV stable. You would need to coat this product with a UV paint or coating to protect it from sunlight, including indirect light. Can Waste Pipe be Used For Drinking Water? Manufacturers usually only certify this type of pipe for wastewater so it may leach chemicals into the water and therefore isn’t suitable for supplying fresh drinking water. 38mm pipe is used in continental Europe and is not easily compatible with UK fittings. Do bear this in mind when purchasing designer sinks and other similar items from abroad. 50mm is rarely used in domestic houses as the fittings are quite large. This size is often seen in commercial and industrial buildings. 68mm pipe is used for rainwater only and not for household waste. 100mm pipe is now used for ventilation and ducting, not waste water. Some very old homes may have 100mm main soil pipes but this size is now obsolete, and 110mm should be used. 120/125mm pipe is often used for ventilation, flues and ducting, not waste water. 160mm foul water sewer pipe, rarely used for domestic homes but often seen near flats and other high-occupancy buildings. We hope you found the advice and explanations on this page helpful.